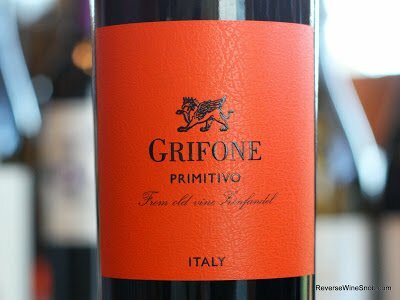 Grifone Primitivo From Trader Joe’s – Super Grape Jam! Surprisingly good for only $3.99 and a great label for your Halloween party. Primitivo (Zinfandel) from Puglia, Italy. 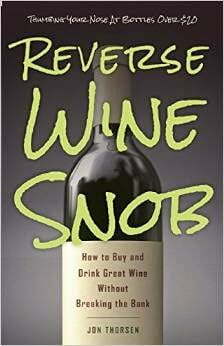 Available exclusively at Trader Joe’s (in the U.S.) for $3.99. 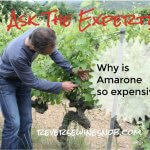 “Zinfandel in America…Primitivo in Italy…Mali Plavac in Croatia…For more than a millenium, the mystery grape of international viticulture travelled all over the world. Grifone is 100% Primitivo from old Zinfandel vines of Puglia region, a result of long study made in conjunction with local growers, trying to rediscover the original concentration of fruit, spices and flavours of this historical grape. Our Primitivo is soft and deep with flavorful vanilla notes and a long finish. 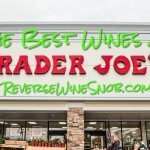 Today we go back to Trader Joe’s to sample another of their exclusive wines that falls into what seems to be their sweet spot — cheap Italian wine. And while California may be the first region to come to mind when thinking of old vine Zinfandel, Italy also has its share, you just may not realize it since it is called Primitivo there. 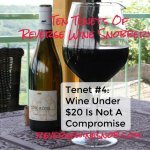 Regardless, old vine anything for only $3.99 raises our eyebrows and so it was with a heavy dose of skepticism that we gave this wine a try. The 2012 Grifone Primitivo begins with pleasant aromas of cherry, cranberry, spearmint and a little spice. The wine tastes surprisingly not bad for only $4 with a lot of typical Zinfandel qualities. On our first sip we were a bit overwhelmed by all the grape jam, but we liked it more and more the longer it was open. 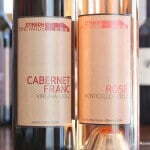 With air, the wine reveals maraschino and sour cherry flavors, cranberry, strawberry, vanilla, a hint of bramble and a little spice that flows into the dry, tart berry infused finish. Just like many other Zins this one would make a nice match for anything drenched in BBQ sauce, and with it’s bright orange label it makes a great fit for your Halloween parties and hunting trips. Want more Trader Joe’s picks? Check our recent Trader Joes Week series or see all of our Trader Joe’s reviews here! Available exclusively at Trader Joe’s in the U.S. See a listing of local retailers selling this wine in other countries here.